The first golden-yellow sauce tomato. Make a gorgeous golden sauce from the first yellow paste tomato bred. Prepare huge batches of yellow marinara from just a few plants. Besides the unique color, the taste is unusually mild and sweet. 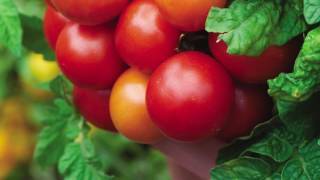 The compact plants yield enormous crops of 4-5 oz. fruits over an extremely long season. A gourmet cook's delight. Tomato, Golden Mama Hybrid is rated 3.8 out of 5 by 17. Rated 4 out of 5 by Claylucy from Makes great sauce I really liked this tomato, but it isn’t the first gold paste tomato. Rated 3 out of 5 by Janice from Prolific and beautiful but not very flavorful This tomato is very prolific and gorgeous. The branches were so heavy with tomatoes they were touching the ground. The only reason I'm giving it 3 stars is because I think the flavor is bland. Rated 5 out of 5 by grenthumbs from BEST tomato EVER I have been gardening for many many years now and these tomatoes are literally the best things i have ever tasted. They produced tons of tomatoes and had l such an amazing almost sweet flavor. All of the seeds germinated. However, they produced so many tomatoes i would recommend staking. The we good to eat raw in salads and in sauce. Rated 4 out of 5 by WaukeshahydroponicGuy from Tastes almost as good as it looks This was my first try at the Golden Mama and I found it to have a high germination rate (90%) it grew vigorously (almost 8 feet tall) and was loaded with fruit. The deep yellow color goes well in salsa's and salads and the flavor is pretty good. I agree with some of the other reviewers that this tomato is a little watery for making sauce and paste and requires extra processing. I will still save a couple of Dutch Buckets in my hydro table for the Golden Mama next year. Rated 1 out of 5 by BillTMcD from Terrible What a waste of valuable garden space! Tall stringy plants with few fruit. I seriously regret planting this. My other tomato plants are thriving with big yields, and these are 6 feet tall with few branches and about one to three kumquat sized tomatoes per fruiting site. I gave some of these seeds to a friend and he is having the same result so its not me or my soil. If a tomato plant cant thrive in the South Carolina sun, its junk! Rated 1 out of 5 by kidfitz from Nothing but blossom end rot I purchase the Golden Mama seeds and had transplants in the ground at the begining of April. The plants grew well and many tomatos were on each plant. My problem is almost every tomato had blossom end rot. We pick the few that did not and ate them but they were grainy and had almost no flavor. 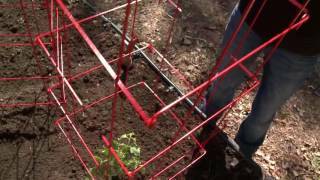 I am growing nine other varieties of tomatos including 3 other roma type. I have had just a few of the other tomatos with blossom end rot. One of the other tomatos is Burpee's super sause, I am very happy with it even though the tomatos do not get quite as big as advertise. Rated 5 out of 5 by DreamingOfAutumn from Great Yield, Great Sauce This is a high yielding variety, and very beautiful. The plant stays pretty small and compact for an indeterminate variety, I had no problem keeping it contained in a tomato cage. Since it yields a lot, it is safe to vigorously prune the vines, you only need 3 maximum to produce a good amount of fruit. As for taste, it has a crisp, bright, mild flavor as a stand alone tomato. Not the greatest, but pretty good from a paste tomato. As a paste tomato it has a little too much water content and needs quite a while to cook down. The color stays a mellow yellow, not a vibrant gold, but definitely looks attractive. The taste is excellent in a nice simple basil garlic marinara. I will definitely be growing these again next year.